Peter Armstrong co-founded Triple Point Technology, a leading commodities management software business, in 1993 and was its chief executive officer until the sale of the company to the ION Group in 2013. Under Peter’s leadership, Triple Point launched a full suite of industry-leading and award-winning products and evolved into a global organization supporting the demanding needs of energy and commodity market participants in a wide range of industries. Independent validation of Peter’s leadership success included Triple Point being named a “Leader” in Gartner’s Magic Quadrant for Energy Trading and Risk Management in every year the study was published. Previously, Peter was an engineer at Bell Laboratories and held software development/management positions at J.Aron and Phibro, the energy and commodities trading divisions of Goldman Sachs and Salomon Inc., respectively. Peter earned a Master of Science degree in computer science from Columbia University and a Bachelor of Science degree in computer engineering from the University of Pennsylvania. In addition to serving as a director for Eka, Peter sits on the board of directors/advisors for Mediant Communications and Qliktag Software. Martin Fichtner re-joined Silver Lake in 2010 and is a Managing Director of Silver Lake Kraftwerk focusing on technology investments in energy and resource sectors. He has over a decade of private equity investment experience in technology-related sectors. Before re-joining Silver Lake, Martin was at Elevation Partners and invested in technology-enabled businesses in media, entertainment, and consumer-related sectors. He began his investing career at Silver Lake Partners focused on investments in core IT sectors. Prior to Silver Lake, Martin worked as an investment banker in the Technology Group at Goldman Sachs. He holds a B.S. in Industrial Engineering and an M.S. in Engineering Economic Systems and Operations Research from Stanford University. Manav Garg is the CEO and Founder of Eka. 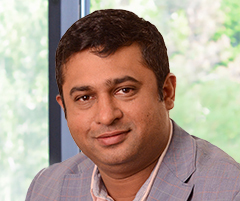 Besides overall responsibility for managing the company, Manav provides leadership and overall direction in such strategic areas as product direction, growth strategy, and talent acquisition. As a former commodities trader with a large global commodity trading house, Manav witnessed first-hand the deficiencies in traditional trading and risk management software. Realizing the market opportunity, and combining this with his passion for technology, Manav founded Eka in 2004 with venture capital funding. Since then, he keeps Eka focused on meeting the needs of the company’s global customers. He constantly strives to achieve ever higher levels of organizational excellence and customer satisfaction by encouraging responsibility and accountability at all levels. Manav graduated as an engineer from Regional Engineering College (REC) in Jalandhar, and followed this with an MBA from Indian Institute of Foreign Trade (IIFT) in Delhi. In 2014, he was named to Fortune Magazine’s “40 Under 40” compilation of executives in India. 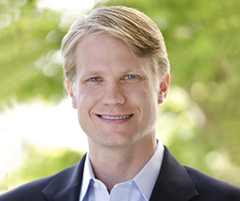 Bryce Lee joined Silver Lake in 2011 and is a Managing Director of Silver Lake Kraftwerk. Previously, he was a Managing Director of Credit Suisse in the Investment Banking division, serving as head of the Technology Group for the Americas and as co-head of the Alternative Energy Group. Bryce was instrumental in building Credit Suisse’s investment banking franchises in Asia and in cleantech, and was named to Forbes magazine’s “Midas List” of the top 100 technology dealmakers in the world. He was a member of Credit Suisse’s Investment Banking Committee and served on the Managing Director Evaluation Committee. 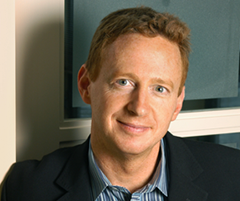 Bryce has led numerous transactions for industry leaders in the cleantech sector in the US and in Asia and raised over $6.7 billion in 22 public and private financings for cleantech companies from 2005 to 2011. 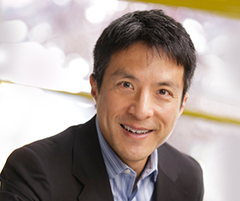 He has also executed financings for nearly a dozen leading technology businesses in Asia. Bryce is currently on the board of directors of PCCW Ltd. He holds a Bachelor of Arts degree in Economics and Asian Languages from Stanford University. 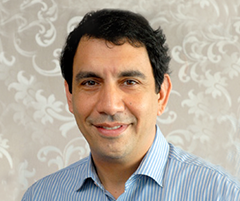 Ashok is an independent Director on the board of Eka. As the Managing Director of Rubber Manufacturing Industries in Bangkok, and having been instrumental in setting up Latex Industries from scratch, he brings an immense wealth of international experience to the Eka board. 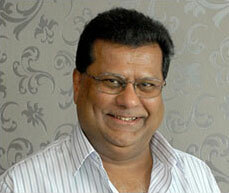 Ashok moved to India in 1995 as Managing Director of M/s Security Cards India Pvt. Ltd and M/s First Pacific Management Consulting Pvt. Ltd Bangalore. He also helped found Select Technologies Pvt Ltd, which was sold to Wipro E Peripheral in 2002. 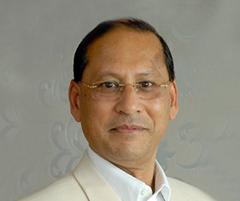 Ashok has actively participated in several Royal Thai Government sponsored civic and health initiatives, noteworthy of these being active involvement with Magsaysay Award winner Dr. Vichai Veeravaidya’s projects on AIDS awareness and control programs. He received a special award from HRH Princess of Thailand for work done in the areas of rural health and community development in South Thailand. He is currently involved with various socio-cultural and charitable organizations in Bangalore and was named the Outstanding International Director for Rotary Bangalore South West. With a Bachelor’s degree in Science and Post Graduation Diploma in Business Management, Ashok has also served as a guest faculty with IIM, Ahmedabad, and B.K.School of Business Management Gujarat University, Ahmedabad. Shirazh is Director of Investments at GP Group. Prior to GP Group, he was Senior Vice President at Seamico Securities Plc. With 19 years of investment and corporate banking experience in leading financial service organizations, he started his stint in Bangkok with HSBC where he looked after their corporate and investment banking business. He also served as Director of Paragon Partners Co. Ltd., a boutique investment bank. Since 2004, Shiraz has served as Director & Audit Committee member of Polyplex (Thailand) Plc. He is a qualified Chartered Accountant with a Master’s in Finance and Accounting. Kirit is the Chairman of GP Group, a conglomerate with diverse business interests spanning several geographies. The Group is over 150 years old and has been headquartered in Thailand since 1918. A serial entrepreneur, Kirit has seeded nearly 300 companies across various sectors in a career spanning more than 30 years. His leadership and vision have transformed the GP Group into a multi-billion dollar entity. The Group’s business ventures span diverse sectors including manufacturing, infrastructure, shipping, pharmaceuticals, hospitality, and software. The flagship company of the Group, Precious Shipping Public Company Limited, is listed on the Stock Exchange of Thailand. Kirit’s family has been listed by Forbes as the 19th richest in Thailand. Sandeep is Managing Director at Nexus Capital. Prior to Nexus, Sandeep was Co-Founder and CEO of Medusind Solutions, one of the leading healthcare outsourcing companies in India. Sandeep is also the Co-founder and Managing Director of eVentures, a leading Venture Capital firm focused on early stage investments in India since 1999. While at eVentures, Sandeep has invested in CustomerAsset (acquired by ICICI Onesource), Mentorix Solutions (acquired by Lionbridge), Intigma (acquired by Emptoris), and MakeMyTrip (sold to SAIF Partners). 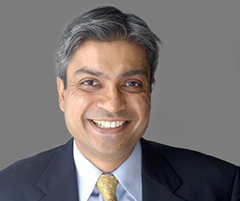 Sandeep has held senior roles at McKinsey & Company, Digital Equipment and EDA Systems. Sandeep has an MBA (with Distinction) from The Wharton School with a dual Major in Finance and Marketing, and a BS in Electrical Engineering from Stanford University. He is actively involved with TiE, Young Entrepreneurs Organization, and the Wharton and Stanford India Alumni Associations. He is also a member of the steering committee for New Ventures India.